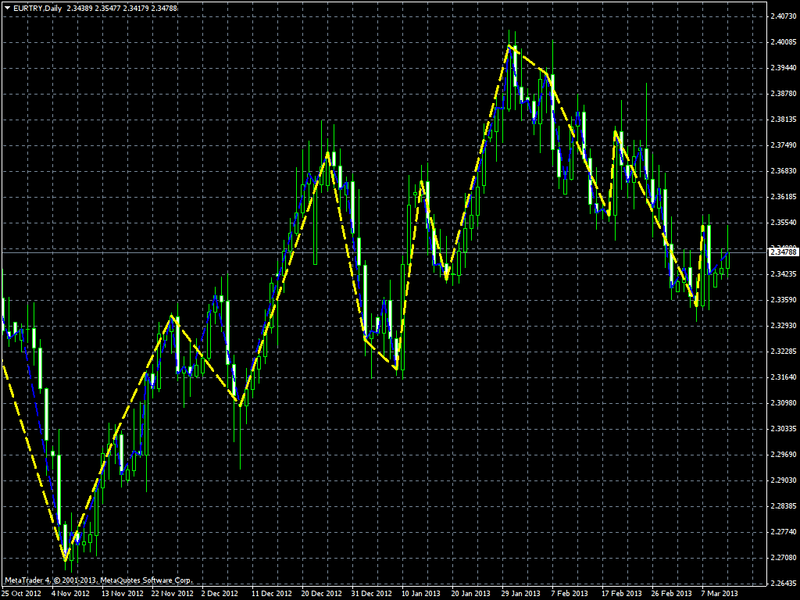 This indicator is an unique zigzag indicator of MetaTrader4 system. Easy insallaton, you only copy it to the indicators directory and you can use. What is shown by this indicator? Help you to recognise real wave moves of the market. You can recognize the short and long market waves easily. 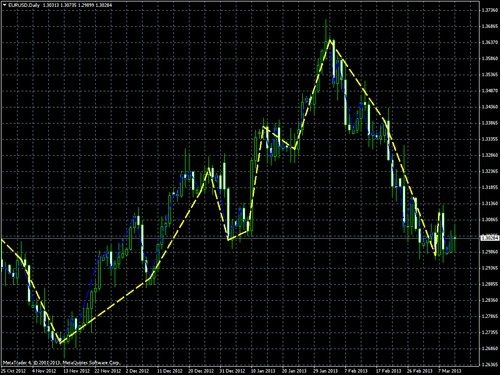 You can combine with other indicator, for example Fibonacci levels or moving average. Help you to identify the correct trends on the market. Copy the C_ZigZag.ex4 file in the c:Program FilesMetaTrader 4 (directory)expertsindicators library. This is an indicator that shows you waves of any timeframe on any chart!